BUDDING filmmakers can learn more about how to direct or act for a movie in an upcoming community workshop. 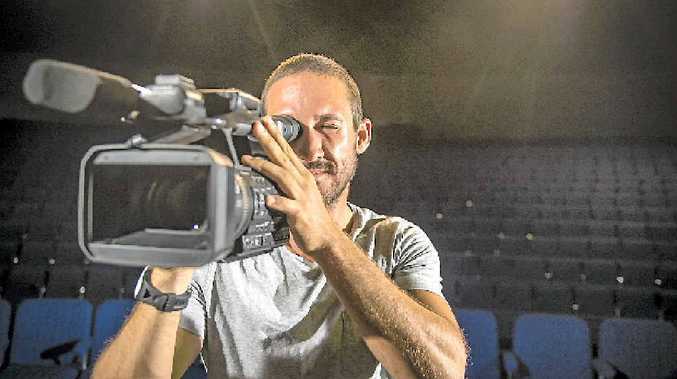 The Capricorn Film Festival is offering a free one day filmmaking workshops to all central Queensland and Gladstone residents. The day will consist of an overview of the production, learning the keys to making a great story and protagonist, hands on camera skills, breaking down a scene and finally bringing it all together in the edit. Festival director Luke Graham said it was important to show residents to basic skills of how to make a short film. "It's important that those people taking up an interest be shown how to utilise the equipment they have at their disposal, a great camera will not make a filmmaker, but an educated filmmaker can create high quality work with minimal equipment. "Take for example your iPhone, it's a great tool to practice develop your skills. Feature films are even been produced with them these days." The workshop will be held at the CQUniversity campus in Gladstone, on July 25. For more information on booking your place for the workshop visit the Capricorn Film Festival Facebook page or www.capricornfilmfestival.com.